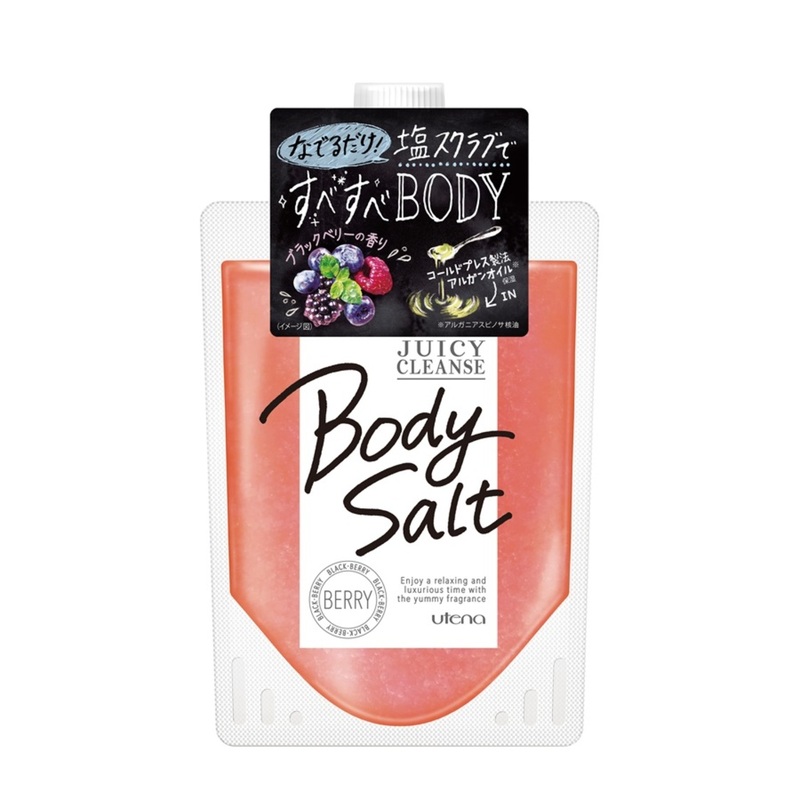 Cold-pressed argan oil & 4 types of fruit and vegetables extracts are blended with salt scrub. For firm skin. The scent of Blackberry.